New York City has always been a mecca in the history of jazz, and in many ways the city’s jazz scene is more important now than ever before. Blowin’ the Blues Away examines how jazz has thrived in New York following its popular resurgence in the 1980s. Using interviews, in-person observation, and analysis of live and recorded events, ethnomusicologist Travis A. Jackson explores both the ways in which various participants in the New York City jazz scene interpret and evaluate performance, and the criteria on which those interpretations and evaluations are based. Through the notes and words of its most accomplished performers and most ardent fans, jazz appears not simply as a musical style, but as a cultural form intimately influenced by and influential upon American concepts of race, place, and spirituality. Travis A. Jackson is Associate Professor of Music and the Humanities at the University of Chicago. 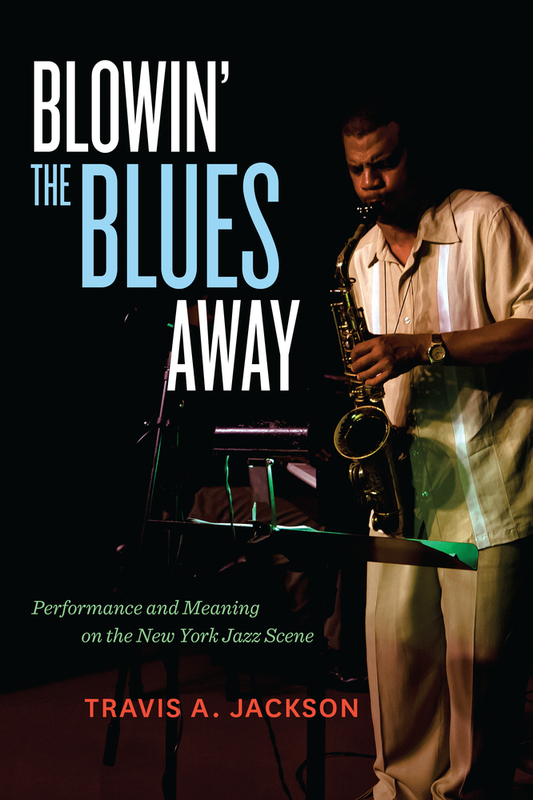 “Blowin' the Blues Away makes a major contribution to our understanding of the contexts and meanings of jazz performance. Jackson makes his own mark by not only documenting 'the jazz scene' in New York but also by providing a critical vocabulary and methodology for future researchers. As such, Jackson’s book provides the most in-depth understanding of the rituals and meanings of jazz performance to date."